In my video interview, Roberto Ferrari – CheBanca!’s General Manager, lists the new skills needed to drive digital banking and design superb customer experiences. EFMA Distribution Summit 2015. As usual, I met some fantastic banking innovation professionals, thought leaders and senior executives with a digital mind including Roberto Ferrari, the General Manager of CheBanca!. In this short extract from my 25-minute video interview, Roberto highlights the new skills and roles needed to drive digital banking and build superb customer experiences online and on mobile devices. 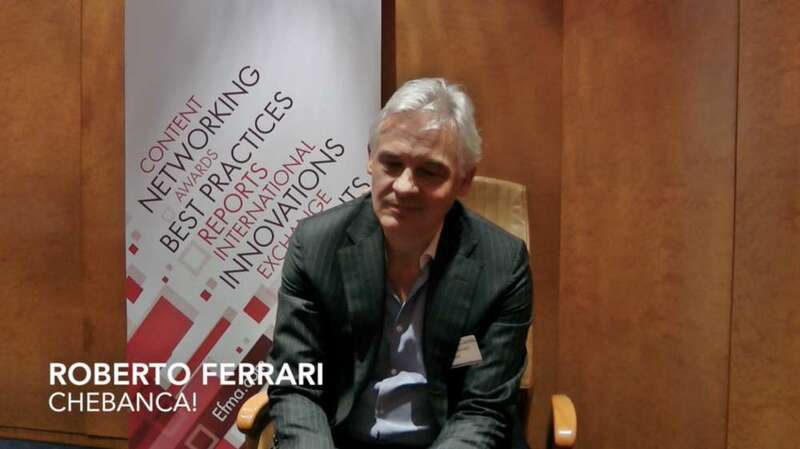 I invite you to watch my other video interviews on Digital Banking and Social Media with CheBanca!’s Roberto Ferrari and a few other key speakers from the EFMA Distribution Summit 2015.